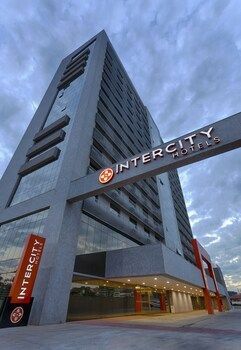 Property Location With a stay at Intercity BH Expo in Belo Horizonte, you'll be convenient to Expo Minas Convention Center and Itau Power Shopping. 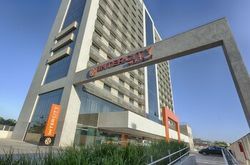 This hotel is within the vicinity of Mineirao Stadium and Pampulha Ecological Park. Rooms Make yourself at home in one of the 276 air-conditioned rooms featuring LCD televisions. Complimentary wireless Internet access keeps you connected, and cable programming is available for your entertainment. Private bathrooms with showers feature complimentary toiletries and hair dryers. Conveniences include phones, as well as desks and blackout drapes/curtains. 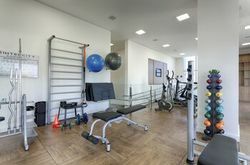 Amenities Don't miss out on recreational opportunities including an outdoor pool and a fitness center. 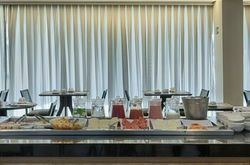 Dining Satisfy your appetite at the hotel's restaurant, which serves breakfast, lunch, and dinner, or stay in and take advantage of room service (during limited hours). 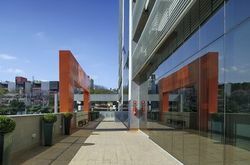 Business, Other Amenities Featured amenities include a business center, express check-in, and express check-out. Know Before You Go * Parents or a legal guardian traveling with children under 18 years must present the child's birth certificate and an identity card with photo (passport, for example) at the check-in. For international travels from Brazil, if just one of the parents is traveling with the child, she/he must present – in addition to the child's certificate of birth and identity card with photo – a letter authorizing the trip signed by the other parent with a notarial certification of signature. In case the parents or the legal guardian, as applicable, cannot or are unwilling to give this authorization, a judicial authorization is required. People who intend to travel to Brazil with children must consult with the Brazilian consulate before traveling for more information. * This property offers transfers from the airport. Guests must contact the property with arrival details before travel, using the contact information on the booking confirmation. * One child 7 years old or younger stays free when occupying the parent or guardian's room, using existing bedding. Fees The following fees and deposits are charged by the property at time of service, check-in, or check-out. * Valet parking fee: BRL 20.00 per day * An in-room safe is available for an additional fee The above list may not be comprehensive. Fees and deposits may not include tax and are subject to change. Si van a estar de viaje por Belo Horizonte no duden en considerar alojarse en Hotel Intercity Bh Expo. No se van a arrepentir!